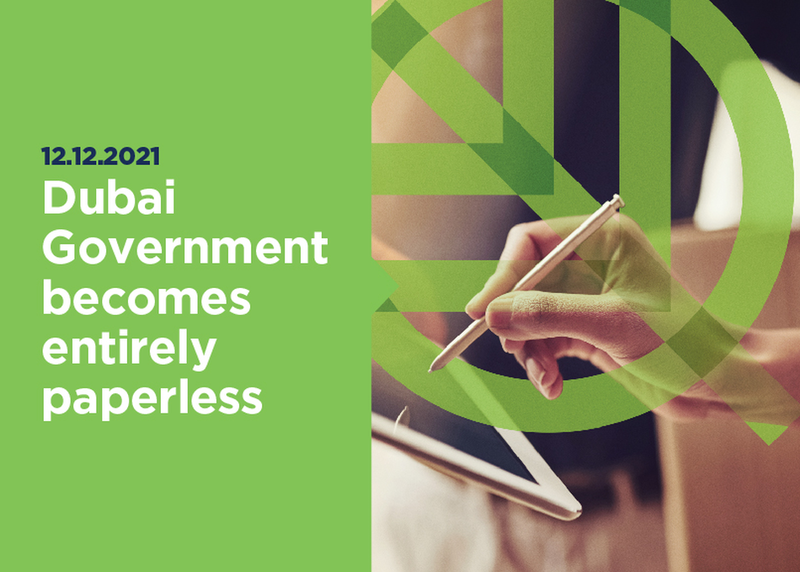 Dubai is leveraging emerging technologies to make the entire city Paperless. Today, using technologies such as Blockchain and Artificial Intelligence, Dubai is designing end to end, experiential journeys for all residents and visitors which will be provided through one unified interface. All the necessary entities involved in executing a digital transaction will be connected automatically, processing e-documents securely and seamlessly within seconds. Not a single piece of paper will be used.